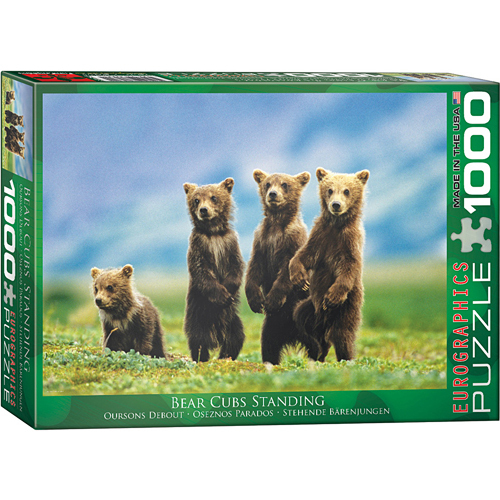 EuroGraphics Bear Cubs Standing 1000-Piece Puzzle. Box size: 10" x 14" x 2.37". Finished Size: 19.25" x 26.5". These beautiful bears are the cutest and most furry babies that you've ever seen. Strong high-quality puzzle pieces. Made from recycled board and printed with vegetable based ink. This superior quality puzzle will delight and educate all at the same time.